A tropical archipelago of volcanic islands in the middle of the Pacific Ocean, Hawaii continues to have a tumultuous existence. Lava from erupting volcanoes forms new land centuries after the arrival of the first settlers from Polynesia. The British explorer Captain Cook met his demise in a battle with the natives in 1779, the Hawaiian monarchy was overthrown by U.S. business interests in the late 1800s, and the bombing of Pearl Harbor brought the U.S. into World War II. And now, in the agricultural fields and food markets in America’s 50th state, another battle is being fought that will have profound consequences for the world’s food security. Most tourists to Hawaii’s Big Island flock to the western Kona Coast, where upscale resorts are plentiful. 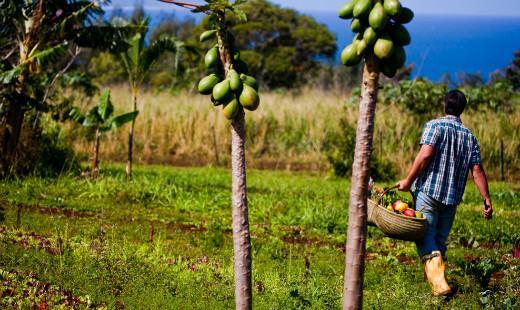 The Puna District, on the other side of the island, is where Hawaiian papaya is grown. 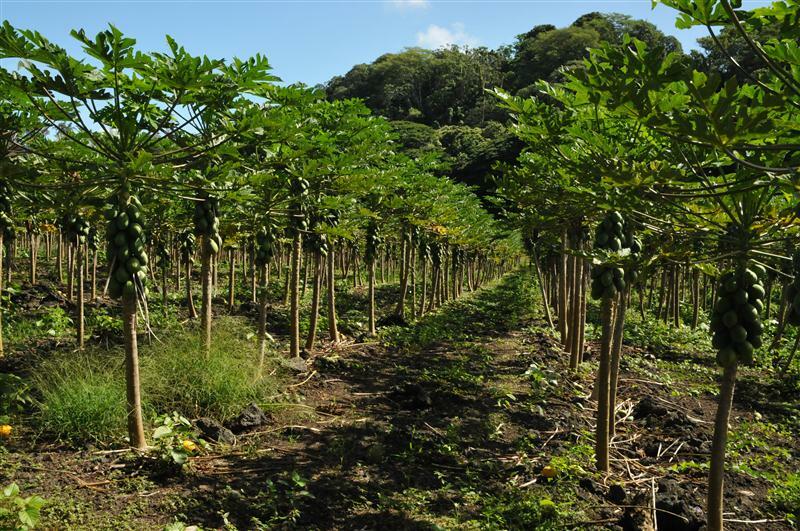 Papaya trees look like dwarf coconut trees growing out of the craggy volcanic soil. The green fruit turns amber or orange when it becomes ready for harvest. Workers with poles pick each fruit carefully and pack them into boxes to ship to tourists in Kona and other parts of Hawaii as well as consumers throughout North America. Hawaiian papaya is famous throughout the world for its quality, but Ross Sibucao, a third-generation papaya grower in Hawaii, is worried that his business may not survive because a new law threatens his livelihood. Sibucao, like most of his fellow papaya farmers, grows orchards full of genetically engineered (GE), or genetically modified (GM), papaya. In the 1990s a devastating virus called papaya ringspot virus, or PRSV, nearly eliminated commercial papaya production until plant pathologists and plant breeders created and distributed a virus-resistant version of the fruit, and made it available free of charge to small-scale farmers. With this GE papaya, business had been good for more than a decade, and Sibucao’s papaya orchard flourished. But, in 2013, legislators signed into law a bill that severally restricts or, in most cases, bans the production of GE crops on the Big Island. GE papaya was exempted from the ban, at least for now. In the future, he knows that a new strain of PRSV will come, as it always does, and he will be defenseless to control it. But for now Sibucao and his fellow growers are required to register where they grow GE papaya, document their pest control practices, and pay a fee. I visited the Big Island in December 2013 to learn about Hawaii’s GE controversy. For decades, my focus as an ecologist and entomologist at Cornell University has been to develop integrated pest management (IPM) programs to fight insects that attack crop plants, especially vegetables and fruits essential for a healthy diet. I work with conventional, organic and biotechnology practices and the growers who use them to help produce nutritious food that is safe for farm workers, consumers and the environment. I work with growers like Sibucao and the millions of other farmers who supply society’s most basic need — food. The GE papaya, acknowledged even by its opponents as effective in controlling the devastating virus that impacts small-scale farmers like Sibucao, has been caught in a high stakes crossfire about the production of food and fiber crops that are safe for humans and the environment. 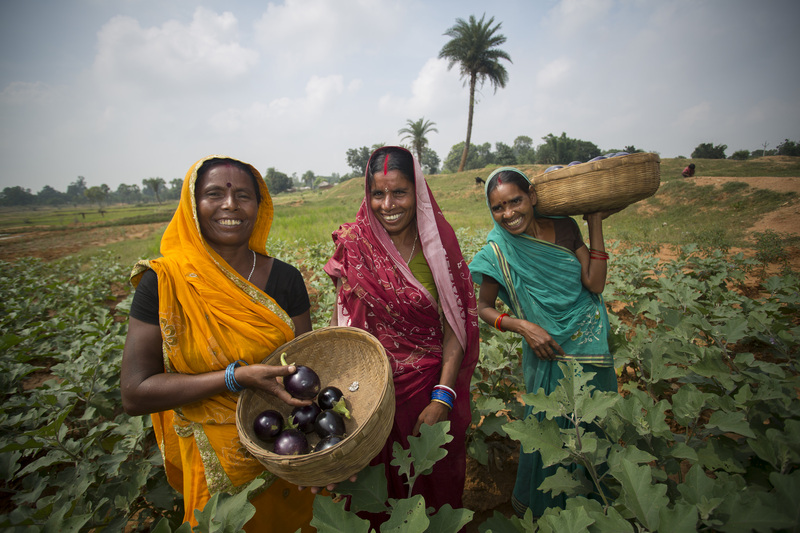 GE papaya is one of dozens GE crops being developed with the tools of modern plant breeding to provide better protection from pests and reduce the use of traditional pesticides in both rich and poor countries. Pest-resistant GE crops such as corn, soybeans, canola and cotton are already being grown globally, but there is an extensive list of other crops under development: insect-resistant eggplant for India, Bangladesh and the Philippines, disease-resistant banana for Africa and Latin America, drought-resistant maize for Africa, disease resistant cassava, insect-resistant chickpea in India, and bio-fortified rice with enhanced nutrients to prevent blindness in the developing world. America’s first anti-GE farming law was passed in Hawaii after a protracted battle where the pro and con arguments were passionately debated. GE papaya escaped the total ban for now only because its critics claimed it was so widespread in Hawaii it would be impossible to get rid of it. But GE papaya is restricted and may not survive another round. GE papaya farmers say if a new papaya virus comes, the law would make it virtually impossible to conduct any field research using genetic engineering to combat it. Farmers say the same holds for any other pest problem on any other crop, and Hawaii gets dozens of new pests yearly because of its unique location on major shipping routes. The law went into effect on the Big Island on March 3, 2014, and in November 2014, voters in Maui passed an initiative to ban the cultivation of GE crops on Maui, Molokai and Lanai. These actions raise the question: Will farmers globally be unable to access the innovative tools of modern science to ensure food security? Thank you for the interesting report. I have always thought that if people knew more about Rainbow Papaya and Biocassava they would not be so indiscriminately anti-GMO. They are such a clearly different case than Roundup-Ready corn. I wanted to point out an inaccuracy, though – Hawaii’s anti-GMO law is not the first passed in the United States. Mendocino County, in California, passed a law in 2003 banning propagation of GMOs. The law was clearly based in complete ignorance of biology and agriculture – the first line reads “DNA is a protein found in all living things” (ie not a single person involved in drafting and approving the measure understood that proteins and nucleic acids are different things). Similar laws have been passed in other California counties (Marin, Humboldt, and Trinity). Thanks for getting the story of the Rainbow Papaya out there. I think its important for people to hear about GMOs other than Roundup Ready corn and soybeans. People also need to hear about Biocassava and the flood-resistant rice. A minor clarification – Hawaii’s law isn’t the first in the country. Mendocino County in Callifornia banned propagation of GMOs in 2003. The first line of the Mendocino law makes it clear that it is not based in a sound understanding of biology and agriculture – it reads “DNA is a protein found in every living thing”. Marin and Trinity counties in CA also passed anti-GMO laws prior to Hawaii’s.